Publisher for Mac [Free Alternative for Mac Users] . ', failHtml: "
Ever wished that you could run Publisher on your Mac? Look no further—Lucidpress is a browser-based, multi-platform alternative. Create gorgeous content on any OS! The power of Microsoft Publisher and more. Enrich text and images with state-of-the-art effects, import photos, and print to nearly any format. An attractive template can make a world of difference. Browse our template library for inspiration, then swap out content and apply graphic effects to customize your soon-to-be masterpiece. Need instant feedback on a project? Instead of downloading, emailing, or clicking the refresh button in your inbox, use Lucidpress. You can work with anyone, any time, on any document. It's easy to start designing your own publications—simply sign up with a current email address. 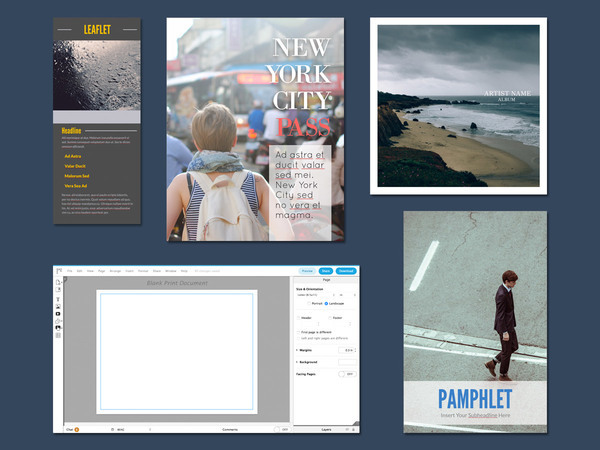 Lucidpress is completely free for any user, whether you're a student, teacher, freelancer, or business owner. Lucidpress gives you unprecedented power in a sleek package. Being browser-based allows Lucidpress to free up even more of your time and money. There is nothing to download, no licensing fee, and you’ll always have the most up-to-date version automatically. “How do I make it look the way I want?” It's the question faced by all designers using unnecessarily complex software. With Lucidpress, you can place things right where you’d like with natural, intuitive motions, then edit them with ease. Importing photos and content is fast and efficient with Lucidpress’s integrations. Whether you need text from a Google Doc or a photo from Facebook or Dropbox, you can import it directly into Lucidpress. The design process isn’t complete until your work reaches the target audience. Lucidpress helps you share your carefully crafted creations with whomever you please through the medium of your choice. Use Facebook, LinkedIn, Google+, or your own webpage.